ROSEVILLE, Calif. — A peaceful retreat for cancer patients and their families, as well as physicians and Sutter staff, is now available at Sutter Cancer Center, Roseville, located at 8 Medical Plaza Drive. Sutter Roseville Medical Center Foundation Donor Bob Lamora strolls through the peaceful Sutter Roseville Auxiliary Healing Garden that wraps around the new Sutter Cancer Center in Roseville. The new Sutter Roseville Auxiliary Healing Garden was made possible by a generous gift from the Sutter Roseville Auxiliary to the Sutter Roseville Medical Center Foundation. 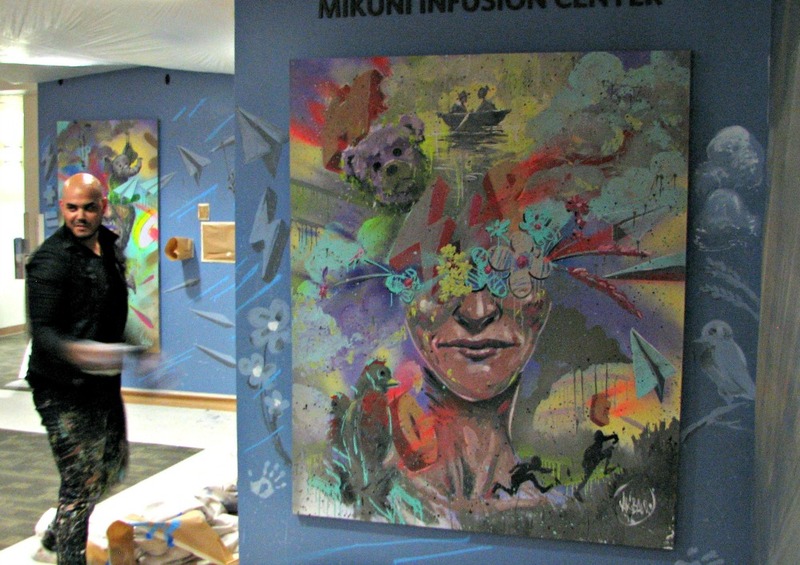 SACRAMENTO — World-renowned Sacramento performance artist David Garibaldi, whose specialty is his stage act in which he rapidly creates paintings of notable rock musicians, unveiled three paintings on Wednesday, Sept. 28, for the newly named Mikuni Infusion Center in the second-floor lobby of the Buhler Specialty Pavilion on the campus of Sutter Medical Center, Sacramento. 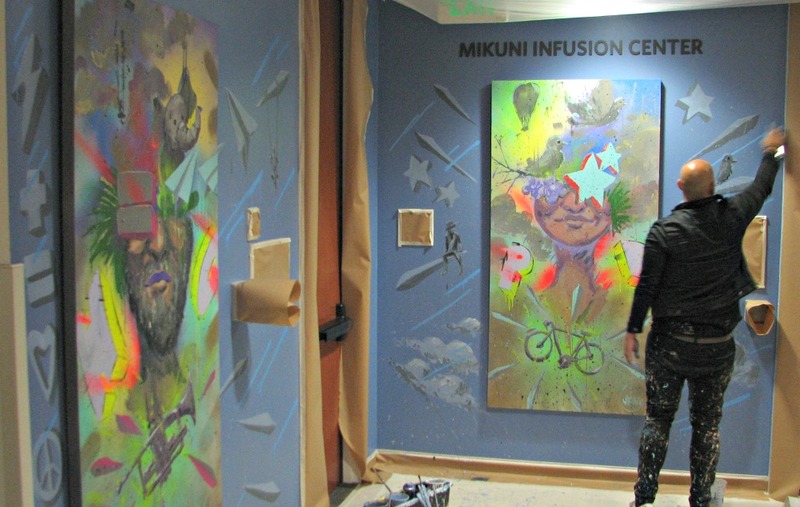 The naming of the Infusion Center is in honor of Mikuni Charitable Foundation’s ongoing contributions totaling more than $850,000 to the Sutter Cancer Center’s Breast Cancer Navigator Program in the past 20 years. The paintings were unveiled during a gala sponsored by Sutter Health Philanthropy and attended by Sutter Medical Center, Sacramento donors and other special guests.